Our experienced I.T. 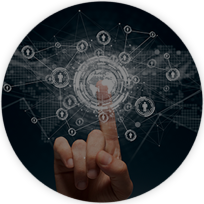 Consultants will map technology to meet business objectives, considering security, performance, productivity, redundancy and flexibility. Future proof and your internet at a fixed price so you're not left guessing. NineWire designs and implements versatile network architectures and can offer a customer portal. NineWire is a Melbourne I.T. Consulting rganisation offering a range of I.T. services packaged to suit the specific requirements of your business. Look no further for business I.T. support and services. Our experienced local team offer flexible, cost-effective and risk-managed I.T. business solutions. As an extension of your organisation, we can manage your existing technology requirements or optimise your current facilities and provide the specific application, infrastructure and operational support required. A router is the key to connectivity between the internet and your business. "We made the bold decision to entrust the team at NineWire to design, manage and implement a major upgrade to our I.T. services. After auditing our existing systems and establishing what we required, it was with some trepidation we let the team at NineWire loose on our I.T. system and with the minimal of fuss, I can confirm the project has been successfully completed and that we are already reaping the benefits of the changes they have implemented. I now sit back and wonder why we didn't do this earlier." Manage your I.T. environment without compromising your core business operations. Our Melbourne based I.T. team provides tailored I.T. solutions. 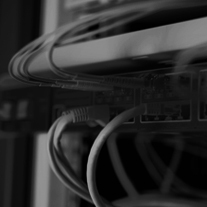 NineWire's managed router service allows you to determine the root cause of any network-related issues if and when they arise. Our I.T. Consultants will map technology to meet business goals, considering security, performance, redundancy and flexibility. NineWire’s local team provides comprehensive remote support, and can be on-site quickly if something goes wrong. Future proof your internet at a fixed price so you're not left guessing. NineWire designs and implements versatile network architectures. Lower prices on Hardware, Programs and Software for SMEs. Purchase the right products for your existing and future needs. 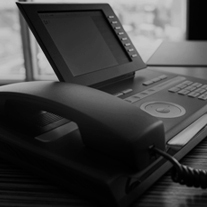 NineWire helps you to create a telephone system with higher level features such as advanced call routing, voice mail and contact centres.